Encore Park is an innovative outreach project of The Stewpot and the First Presbyterian Church of Dallas located along Park Avenue south of Young in downtown Dallas. Want to know more about our vision for Encore Park? Watch these videos. Through its purchase of the property at 515 Park and 500 South St. Paul, The Stewpot provides opportunities for partner organizations and its own programs to grow. Through renovation of 508 Park and the building of an amphitheater it will bring music back to the neighborhood where famous recordings occurred. Reiterating The Stewpot's motto that "we serve second chances," it will give second chances to a neighborhood, to buildings, to services, to people. 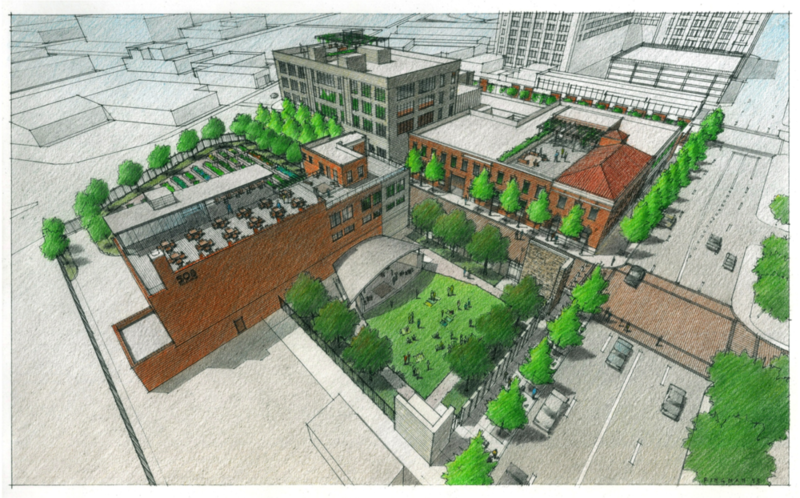 It will create a campus, a park-like environment on Park Avenue. Join us in creating unprecedented change in downtown Dallas! Return here soon for exciting new information.